It seems that the older I get, the faster time flies. It won’t be long before retailers and gadget lovers will be attending the Consumer Electronics Show in Las Vegas from January 7 – 10th. What can we expect to come out from the show? You might want to go to www.cesweb.org to see all of the different technology zones, which are spread throughout the Las Vegas Convention and World Trade Center, The Venetian, and the Las Vegas Hotel and Casino. This will be a techie’s dream with locations, such as Eureka Park at the Venetian, which has over 200 emerging technology companies, Fashion Ware, where high tech meets fashion, Audio Tech, which is HD for the ears, and the International Gateway that includes companies from around the world. The Central Hall at the Convention Center is where all of the major manufacturers will exhibit along with the connected home, 3-D printing, robotics, and digital health and fitness. If you are into digital imaging/ photography, the Las Vegas Hotel has all you need from PMA. Aha by Harman International is a cloud-based platform that delivers 40,000+ programs from the web and location-based services (LBS) straight to a car's dashboard through a seamless connection with an Aha smartphone app for iOS and Android systems. Aha keeps your focus on the road, where it should be. 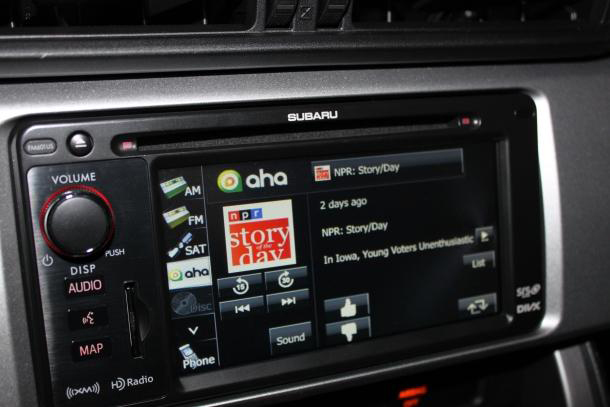 Once you get the app and organize your stations, Aha syncs the experience to your car. The in-dash, easy-to use interface makes finding everything you love as safe and easy as the turn of a radio dial. You don’t have to worry about where the content originated. Aha takes care of it for you. It’s important that you keep your eyes on the road, and the driver shouldn’t be distracted by complicated user interfaces. With all your favorite stations organized as presets in the same list, you can access your content effortlessly and keep your eyes on the road. 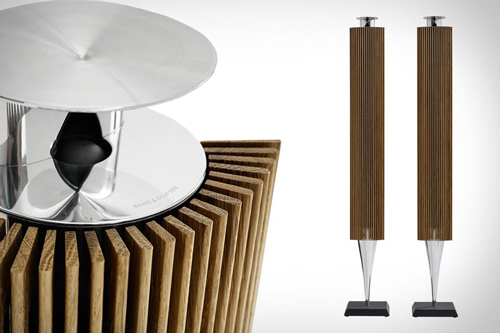 Bang & Olufsen’s BeoLab 18 is conceived as an exceptional sound column introducing a close relationship of form, craftsmanship and performance. The acoustic lens projects optimal sound quality evenly throughout the room in a 180 degree horizontal semicircle. Crafted from aluminum, the lens is further accentuated with a subtle green glow when BeoLab 18 is turned on. A BeoLab 18 wireless setup requires just a single power cable to each speaker, giving you incredible flexibility to unleash ground breaking multi-channel wireless audio throughout your room. Don’t miss the Sony Electronics’ FMP-X1 4K Ultra HD Media Player. It is the world’s first home media player to deliver hit Hollywood movies in 4K Ultra HD, with 4 times more clarity than HD. Pre-loaded with ten feature films and a library of 4K short films, the FMP-X1 is also the entry to Sony’s video unlimited 4K service. In the fall, the lineup will expand to include 4,000 titles from Sony Pictures and other production houses that users can access for a fee. 4K sets provide jaw-dropping visuals, but presently the challenge is having content to watch. If you are an advocate of alternative energy, the Brunton Hydrogen Reactor™ is a innovative portable power device that combines hydrogen and oxygen to produce electricity on-the-go in order to power devices like smartphones and GPS units. Using rechargeable hydrogen power it gives users the opportunity to stay charged without ever plugging in. The basic reactor unit comes with two removable Hydrogen core cylinders, which screw into place. Once installed, they release Hydrogen which reacts with Oxygen from the atmosphere to generate electricity. The output is 2 amps at 5 volts, and there's enough to recharge an iPhone fully five to six times. Each Hydrogen core is the equivalent of 15+ AA batteries and there's an optimizer button on top of the reactor, which senses the needs of your device and manages the power output accordingly. 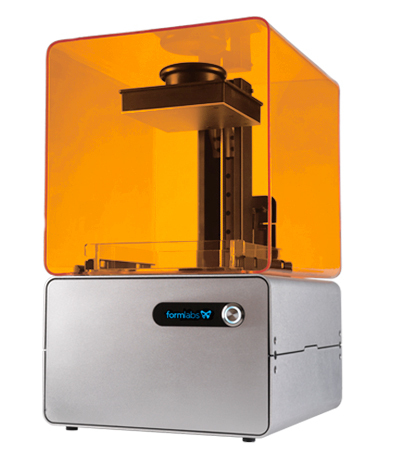 The Form 1 3D-printer is the world's first high-resolution, desktop stereolithographic printer, designed to bring the gold-standard in 3D-printing technology to a wider audience, in an exquisite marriage of industrial design and technology. It is a complete package with the printer, software, and post-processing kit that works right out of the box. Since 3D printed parts are only as good as the technology that makes them, stereolithography (SL) does the best job. In this photopolymer-based process, a high precision system directs a laser across a tray of liquid resin and causes a thin layer to solidify. The build platform then rises in preparation for the next layer. After thousands of repetitions, your part is complete with exquisite detail. If you are a swimmer, check out the Instabeat, which is the first waterproof heads-up monitor that tracks, stores, and displays instant color-coded feedback of your heart rate on your swimming goggles’ lenses to optimize your training. Real time tracking is crucial to achieve your training and fitness goals, but at the same time it shouldn't disturb your head and arm motion during your swim. Instabeat's sleek design reduces friction in the water, and it fits on any pair of swimming goggles. It reads your heart rate from the temporal artery, eliminating the chest belt. For the casual photographer, who likes to use a smart phone rather than carry a camera, Sony's new QX Series "Lens-Style" cameras combine the power of a premium compact camera and the convenience and connectivity of today's smartphones, completely redefining the mobile photography experience. 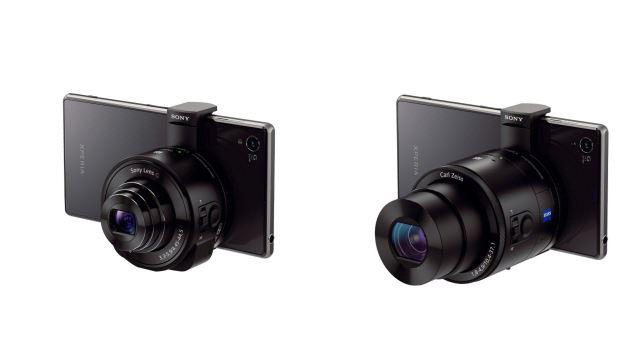 The innovative Cyber-shot® DSC-QX100 and DSC-QX10 models utilize Wi-Fi connectivity to instantly transform a smartphone into a versatile, powerful photographic tool, allowing it to shoot high-quality images and HD videos to rival a premium compact camera. It’s an entirely new and different way for consumers to capture and share memories with friends and family. 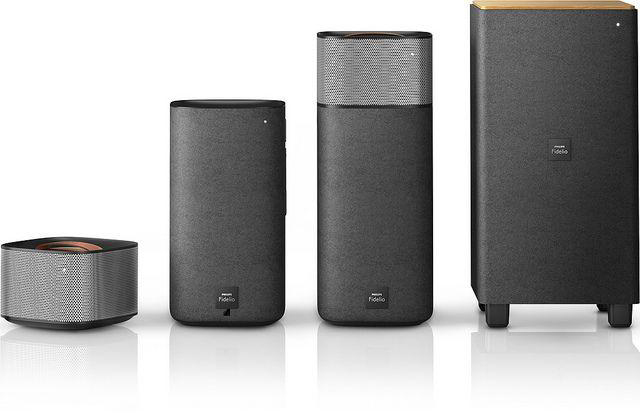 Philips Fidelio E5 wireless surround cinema speakers and their wireless active subwoofer, offer a phenomenal stereo music listening experience that can transform instantly into a true 5.1 wireless surround sound system. You can pair Bluetooth devices easily with one-touch NFC (Near Field Communications) technology. Just tap the NFC enabled smartphone or tablet on the NFC area of a speaker to turn the speaker on, start Bluetooth pairing, and begin streaming music. A built-in Dolby digital decoder eliminates the need for an external decoder by processing all six channels of audio information to provide a surround sound experience and an astoundingly natural sense of ambience and dynamic realism. Dolby Pro Logic II provides five channels of surround processing from any stereo source. The computer geek will love the ASUS Transformer Book Trio, which is the first 3-in-1, 11.6-inch dual OS Windows 8/Android hybrid laptop with a dock powered by a 4th generation Intel® Core™ i7 processor. The tablet features an Intel® Atom™ processor and a 1920 x 1080 IPS display. The Trio comes with both Windows 8.1 and Android 4.2.2, the former being built into the keyboard dock and the latter in the tablet. This means you can use it as either a full Windows laptop, a standalone Android tablet, or even an Android-powered laptop. The keyboard dock also has a wide variety of ports, including two USB3 ports, a micro HDMI output and a mini-display port, and a combined headphone and microphone jack. This is in addition to the tablet's micro SD card slot. Have you ever missed a call because you couldn’t hear your phone? Or found yourself constantly checking for a new text, email, or Facebook message? 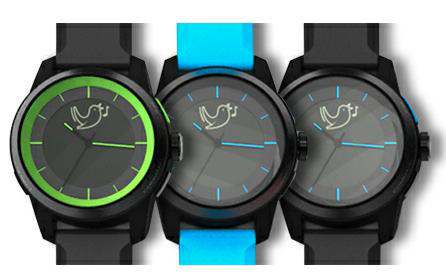 The COOKOO watch will let you know what’s happening on your phone in real time, even if you can’t see or reach it. With the COOKOO Life App, you can receives notifications of incoming calls, missed calls, Facebook messages and posts, Twitter mention, calendar reminders, SMS, email notification, as well as notification if your device is out of range, or if the battery is low on your iPhone or iPad. Are you constantly making typing mistakes on your smart device? 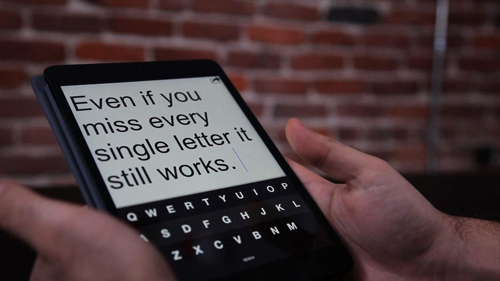 Fleksy is a keyboard experience like no other, as it is an application that replaces your device’s on–screen keyboard. Fleksy uses the familiar QWERTY layout, coupled with the most powerful, patent pending text prediction engine. It features an autocorrect engine powerful enough to work, even when you are not looking at the screen. With 114% larger effective typing area, you can use the traditional buttons like the spacebar, or you can master Fleksy’s unique gesture system to space, delete, capitalize and punctuate. It’s built from the ground up to simplify typing on every smart device from Android to iOS to your tablet and your phone, and even your watch. 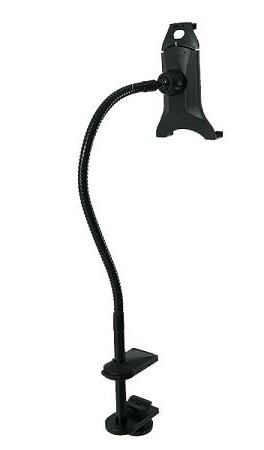 The Surmount Universal Tablet Desk Clamp uses an innovative clamp design. With a simple push of a button, the die cast aluminum clamp is fully adjustable to fit any table or desk up to 4" thick. Once locked into one of the 14 slots, the ergonomic, soft grip knob can be tightened to fully secure the clamp and create a sturdy and customizable accessory for your iPad or tablet use. The Universal Holder will fit any iPad or tablet on the market with or without the case or protective cover attached. This clamp can be used to view your iPad when running on the treadmill, practicing or performing music. Use it as an iPad holder to attach to a headrest and entertain the kids while on a long drive, or have it elevate your device off of the countertop when in the kitchen. Reading in bed or watching Netflix, are other uses. InteraXon builds hardware & software to make brain sensing technology a part of everyday life. Muse, the brain sensing headband, for use with your smart phone, comes with games & exercises to help you get the most out of the mental skills you already have & do more than you ever thought possible. Although brain-controlled interface (BCI) technology may sound futuristic, it is very real and rooted in the present. In fact, InteraXon designs and builds both the hardware and the software that brings the technology to you. BCI is based on harnessing the various types of electrical waves that the neurons of your brain produce. When you’re asleep, your brain emits ‘delta’ waves. When you’re calm and relaxed, you create more ‘alpha’ and ‘theta’ waves. When you’re really concentrating on something, such as a puzzle, your brain is busy churning out either ‘beta’ or 'gamma' waves. InteraXon uses EEG sensors to read and interpret these waves, and software to convert these brainwaves into digital signals that various apps can understand. Make your environment respond to you with WigWag, the easiest way to control any device from a smartphone. WigWag allows you to build intelligent environments anywhere with Internet-connected sensors and devices by letting you graphically write rules, such as: When [this] happens, Then do [that]. When you walk into a dark room, you can have the lights come up. When the temperature goes up, turn on the fan. When a door opens, send me a Tweet. You don't need a PhD to figure out how to make things happen automatically with WigWag. You can drive it all from their app with a few taps. "When X then Y"
I can only touch on a few of the amazing products that will be featured at CES. There will be over 20,000 new products unveiled at the show. If you plan on attending, you had better have a pair of roller skates.